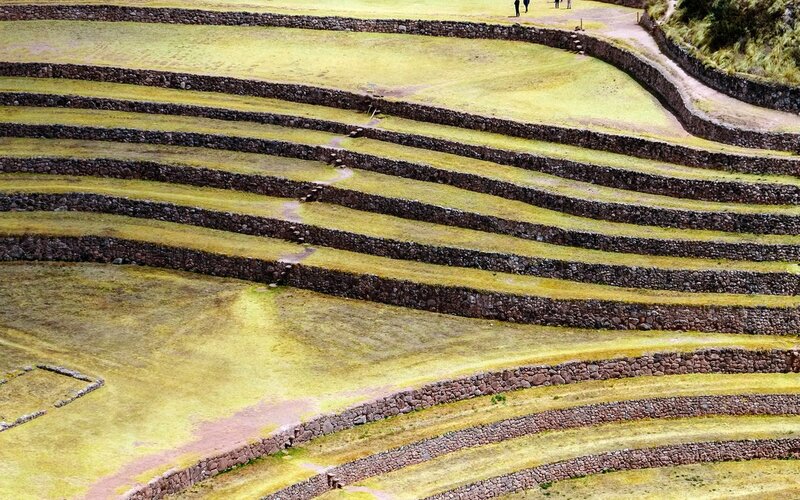 Moray is an archaeological site in Peru approximately 50 kilometres northwest of Cuzco on a high plateau at about 3,500 metres and just west of the village of Maras.you can take a shared taxi (known in spanish as a collectivo) from Cusco to the Maras turn-off. This will cost 6-7 soles per person, and the journey lasts for one hour. 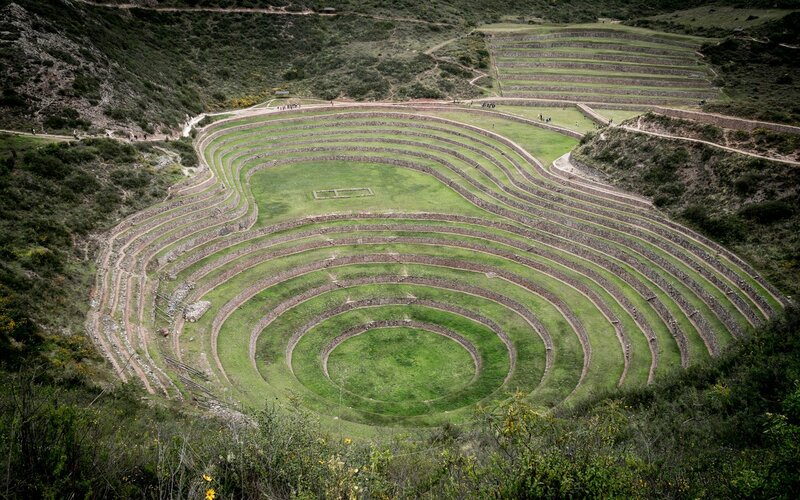 Once you get there, you can hire a driver at the turn-off to take you to see both sites (Moray, and the Salineras de Maras). 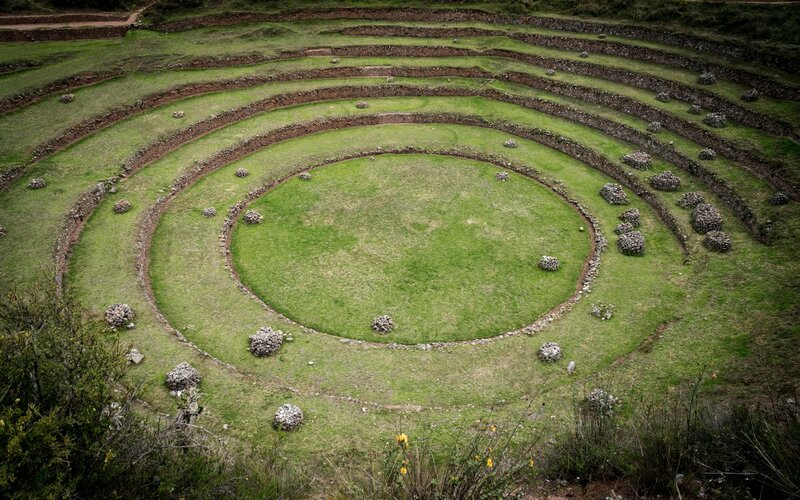 They will charge you 50 soles per vehicle to see both sites, and some of the drivers speak a little bit of english. 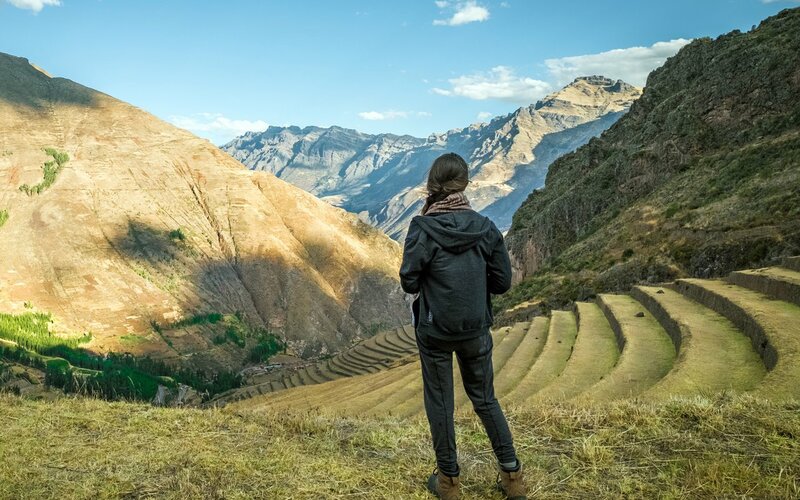 You could return to the Maras turnoff, to go back to Cusco you will need to wait for a van or collectivo with available seats. Not a bit problem, but a bit of a hassle.